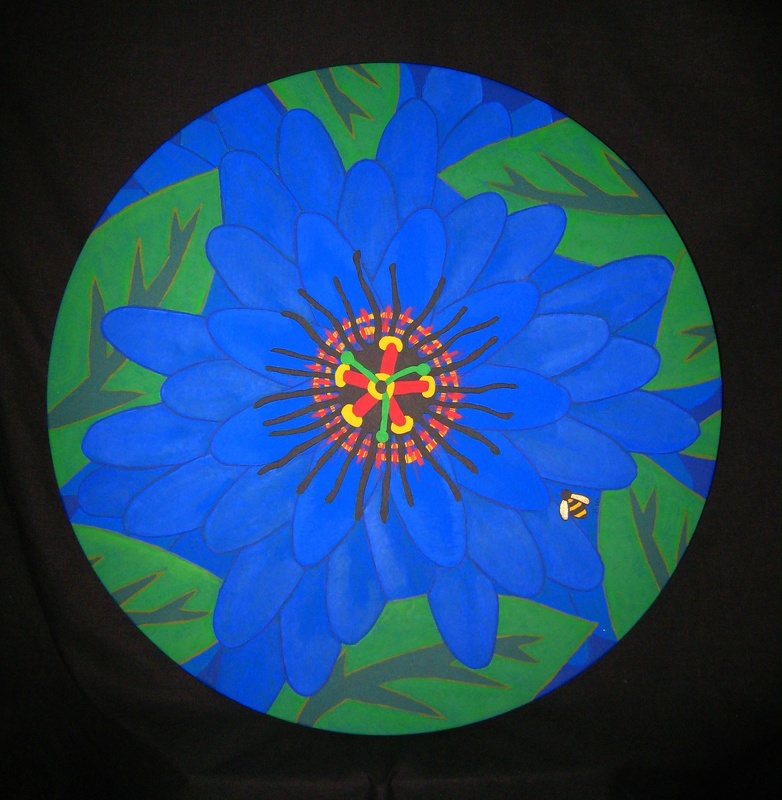 Floral Mandala is the first of a series of round paintings. This first one is 25” dia. Using outdoor rated man made canvas from the boat cover industry, with some protection from the elements each of these pieces can be hung out doors. They are painted with acrylics. Close up views of familiar forms has something to do with being near- sighted I believe. What delight there is as we look into the face of nature, always present for our attention.